Esoteric Recordings are pleased to announce the release of a newly re-mastered edition of the classic 1972 album "Woman" by Michael McGear. 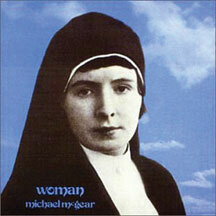 Released by Island Records in February 1972, "Woman" was the first solo album by Mike McGear (McCartney) and was a more "serious" record than his work with the Liverpool satirical trio Scaffold, or his work with Roger McGough on the "McGough & McGear" album. Recorded at Strawberry studios in Stockport and completed at Abbey Road studios, the album had a long gestation period and sessions featured such notable guests as organist Brian Auger, Ginger Johnson and his African drums, Andy Roberts et al, the material comprising the album was song-based, (interspersed with recorded dialogue between Mike and his daughter), with some lyrics provided by Roger McGough. Being removed from his work with Scaffold, "Woman" was rejected by EMI Records for release, but was eagerly signed by Island Records. Over the years, the songs on the album, including the emotive title track, have earned both appreciation and a cult following. The album's title track was even featured in an episode of the BBC TV series "Cradle to Grave". A gorgeous, eccentric, collection of music, "Woman" is an album to savor. This Esoteric Recordings edition has been newly remastered and includes an illustrated booklet with a new interview with Mike McGear McCartney.